There’s no way around the fact that hotels are expensive, but you deserve to know what your getting. Simple clean hotels with at least running water, both hot and cold, in every room. One star hotels must have at least six guest rooms. All hotels will have ample heating systems. The majority of the rooms do not have room for both the toilet and the shower in the room. One or both of these amenities will be found in public restrooms in the hall. Public restrooms are gender neutral (just like home). A small hotel, of at least ten guest rooms, where someone speaks at least two languages. Public restrooms are likely gender neutral. An elevator is required if the building has more than five floors. The furniture will be a bit more comfortable than a one-star room. There may be a breakfast room and a simple coffee and toast breakfast offered at an extra cost. Paris Sparkle says : Live like the neighbors. A lot of Europeans travel with these accommodations. The hotel will be more charming and authentique, not likely a modern building. A medium sized hotel with a reception desk and multi-lingual staff. One of the languages spoken must be English. Generally every room has a private shower and toilet (80% minimum). There will be courtesy soaps in every lavatory. Ladies and Gentlemen public restrooms. The hotel may or may not have air conditioning. The rooms are more spacious and comfortable for lounging around. In addition each room has a TV and telephone. Internet acces is not required to be in this category, but it is highly likely. The hotel has a breakfast room and offers a buffet breakfast. Paris Sparkle says : This is the comfort most Americans are accustomed to receiving at the Holiday Inn. A large first-class hotel with a nice reception area and plenty of staff waiting on your every whim. Generally every room has a private shower and toilet (90% minimum). There will be courtesy soaps in every lavatory. An elevator is required if the building has more than three floors. The hotel will offer more amenities and the buffet breakfast will be more hardy. A private parking lot will be available. Conference rooms will be available. You’ll find high speed internet in each room. Paris Sparkle says : In Paris the Hyatt is a four star hotel. Porters greet you at the door, all aspects of the hotel are spacious and luxurious. Every room must have a private shower and toilet. Five percent of the rooms are sweets that can be transformed into apartments. There must be a gourmet restaurant on the premises. Amenities may include a spa, entertainment or other resort services. Paris Sparkle says : You guessed it – the Ritz Carlton. Probably not within the budget for most of my online readers. Doesn’t sound like the criteria you’re used to ? As of today there is no international star rating standard. Each municipality rewards stars at its own discretion. The preceding criteria are based on expectations developed by the Paris office of tourisme and corresponding rates for fall 2009. Classification is based on 100 criteria categorised in three categories including amenities, cleanliness/quality and customer service. 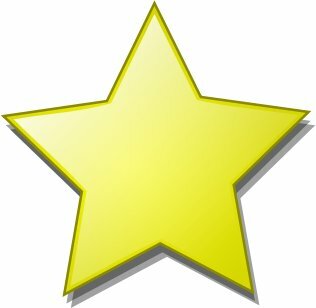 A hotel must 90% of the required criteria to be awarded the corresponding star.